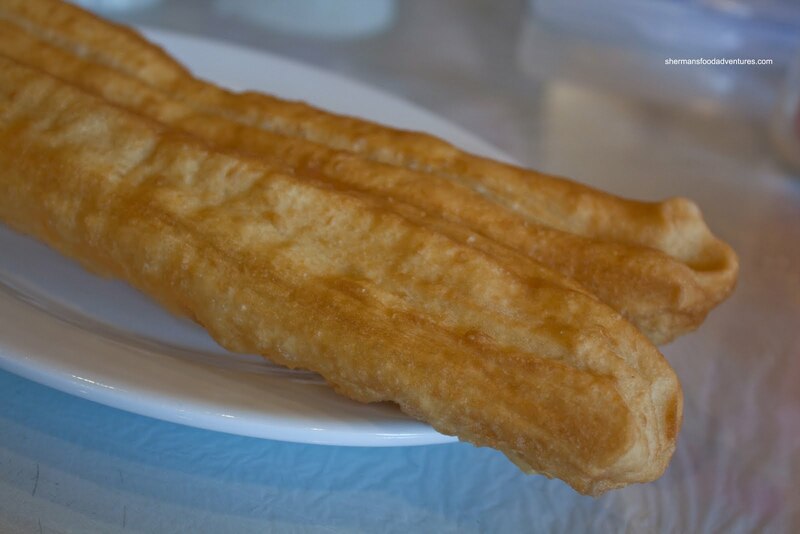 We all know where to find great Shanghainese food here in the GVRD - in Richmond. I'm sure you're waiting for the Richmond punchline right about now; however, there is really nothing to joke about here. 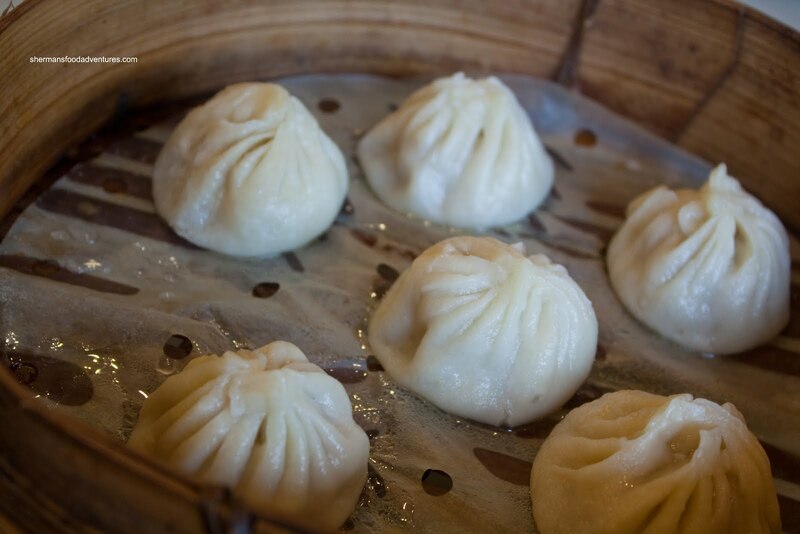 Indeed, if you wanted great Xiao Long Bao and the sort, Richmond is money. Take your pick from Shanghai River, Shanghai Wonderful, Top Shanghai, Dinesty (technically a Taiwanese restaurant), Chen's and No. 1 Shanghai. 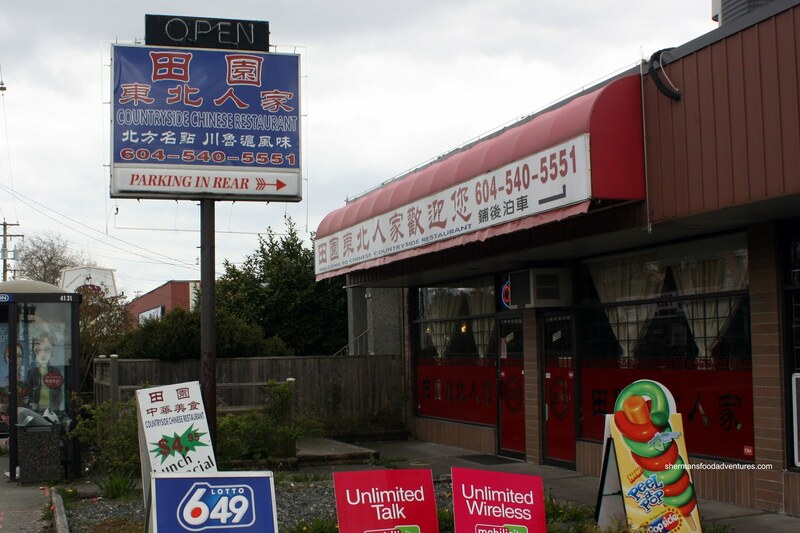 Now, if you wanted to find good Shanghainese food elsewhere in the lower mainland, it is really a crap shoot. If I had to pick the best of the bunch, it would be Lin in Vancouver. So of all things, we started with the Salty Donut. Sure, it goes well with the sweet soy milk that Viv ordered; but the real reason we ordered it was that the kiddies love it. The thing was quite crispy; yet at the same time really dense and chewy. Kudos for making their own, too bad it was not exactly good either. We also got a bowl of the Chicken Noodles for the kiddies as well. This was a substantial amount of noodles and tender chicken meat. There was so much chicken, it was enough for 3 bowls at Northern Delicacy. It's too bad the soup base was completely bland. It was as if they used the residual flavour from boiling the chicken meat (maybe it was?). 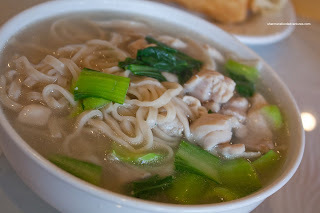 For ourselves, Viv and I got the Ja Jeun Mein (dry noodles with meat sauce). I have to say this was a really dark looking meat sauce on top. What made it strange was the flavour. From the looks of it, we didn't expect it to be super sweet, which it turned out to be. It was almost like eating noodles with a candy sauce on top. We would've much preferred a much more savoury sauce with a bit of kick. On a positive note, the noodles were al dente. 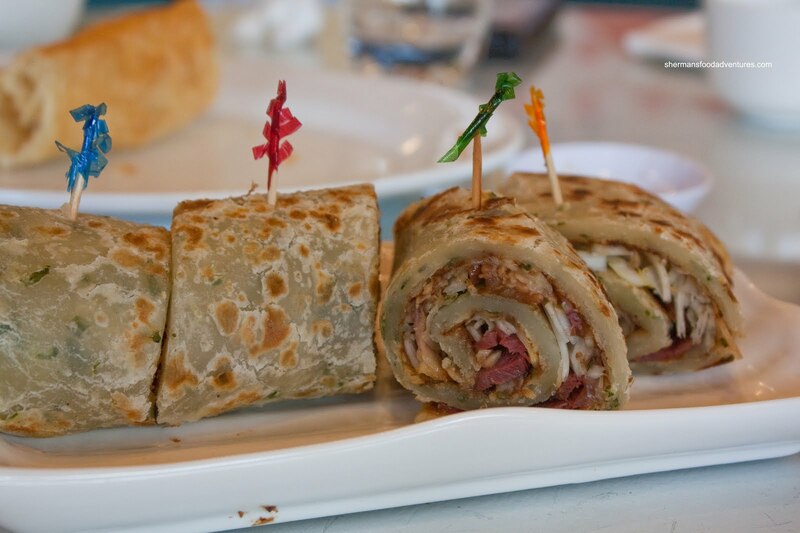 Continuing on the carbfest (typical of Shanghainese food), we got the Green Onion Pancake Roll with Sliced Beef Shank. As evidenced in the picture, the pancake was far too thick and doughy. In addition, there was not enough hoisin sauce. To me, it felt like eating plain undercooked dough. This was an extremely poor attempt. Hey, a meal like this cannot be without the Xiao Long Bao right? Well, it almost turned out to be since the menu didn't really have the proper description in both Chinese and English. I had to resort to asking verbally if they had it. Well, in all honesty, I could've done without them. The dumpling skin was far too thick and at least one XLB was punctured. There was only a modest amount of soup inside and it was bland as well as the meat. 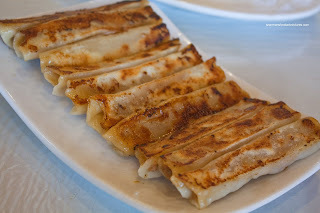 Lastly, we had the Potstickers which were the Taiwanese version (being long and narrow). I found these to be a bit greasy; yet at the same time, cooked perfectly with a crispy bottom. Unlike the XLBs, the pork filling was very flavourful being sweet and somewhat savoury. However, there was far too much onion, which completely dominated the flavour profile. Viv, who loves onions, didn't enjoy the taste. The food as a whole is probably on the bad side of average. It's too bad really since this is an honest-to-goodness family operation. I was hoping for more; but I can't sugar-coat it. Maybe I'll come back for dinner, the table next to us had some pretty good looking dishes. Another place that I like in Vancouver is called "The Place" on Granville and 64th in the Marpole area. Their XLB's are in the top 5 in the GVRD in my opinion. They are massive. 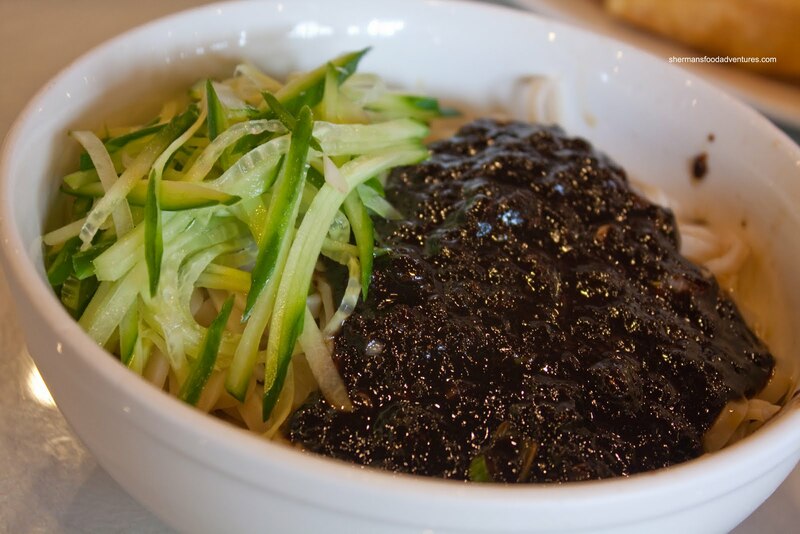 They serve a mix of Sichuan and Shanghainese and from what I've had, everything is quite authentic. Looks like a family run operation with friendly staff who recognize you if you are a regular or semi-regular in our case. Unless things have changed in the last year (I haven't been there in a long time), this place is only "Shanghainese" to appeal to the local market. If you scan through the menu, you'll see that it serves Northeastern Chinese (dong bei) food (as I think the owners are from that region). @Milo Yes, I've heard of The Place. I'm sure it will be on my list to eat soon! @fmed Yah, I agree. As mentioned in the post, this place is "Shanghainese" based on some dishes, but it really isn't a Shanghainese restaurant. I did notice that the dishes at an adjacent table were much more appetizing than what we had. I was planning on returning for dinner to try that out.